Brick ranch home within walking distance of Athens High. Home has tons of potential. Beautiful hardwood floors under carpet, eat-in kitchen. Add 3rd bedroom/200 sq. ft. to the home by heating/updating the enclosed breezeway. Large attic is perfect for huge master suite. Full-size basement. New 100 AMP electric panel and service. Newer furnace. Price reflects need for updating. Lot to be split. Home is on 0.32 acre lot after split. Split creates two 0.33-acre lots which are listed as vacant land as well as with to-be-built new construction homes. See MLS# 219033716 and MLS# 219034049 for more details. On the north side of Wattles Rd, just west of John R. Park in circular drive. Hello, I’m interested in 1731 E Wattles Road and would like to take a look around. 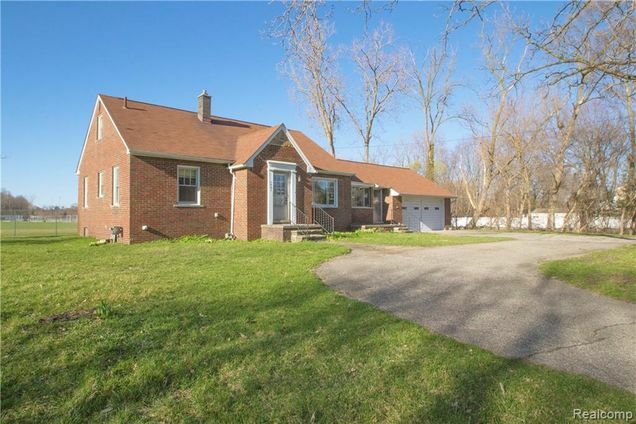 The details on 1731 E Wattles Road: This house located in Troy, MI 48085 is currently for sale for $189,900. 1731 E Wattles Road is a 1,357 square foot house with 2 beds and 1 bath that has been on Estately for 7 days. This house is in the attendance area of Athens High School, Costello Elementary School, and Larson Middle School.